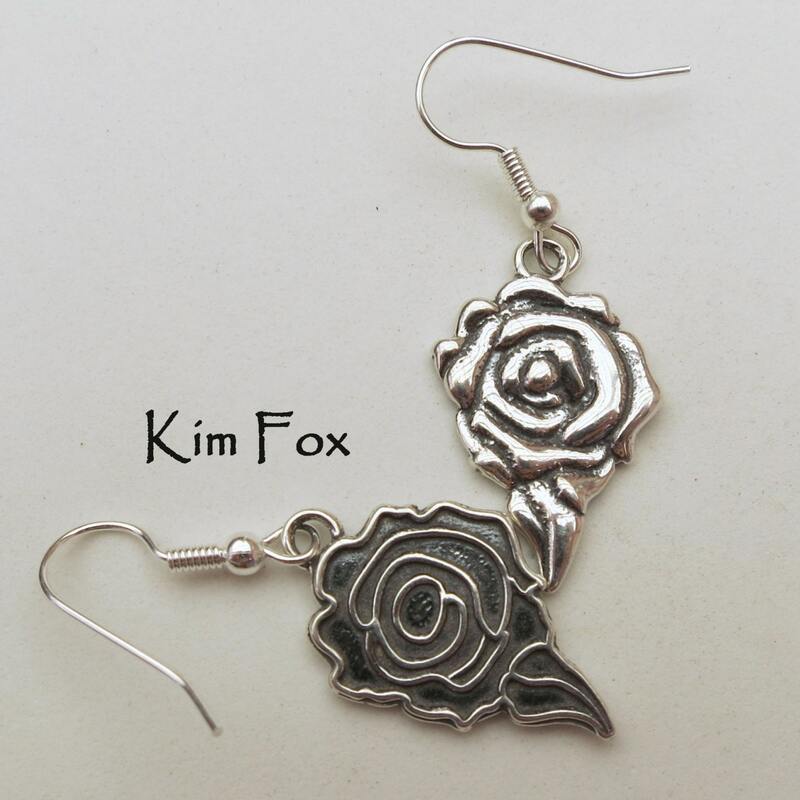 Dimensonal Rose Earring in Sterling Silver Golden Bronze designed by Kim Fox 1.5 inches by .5 inches in size with wire. 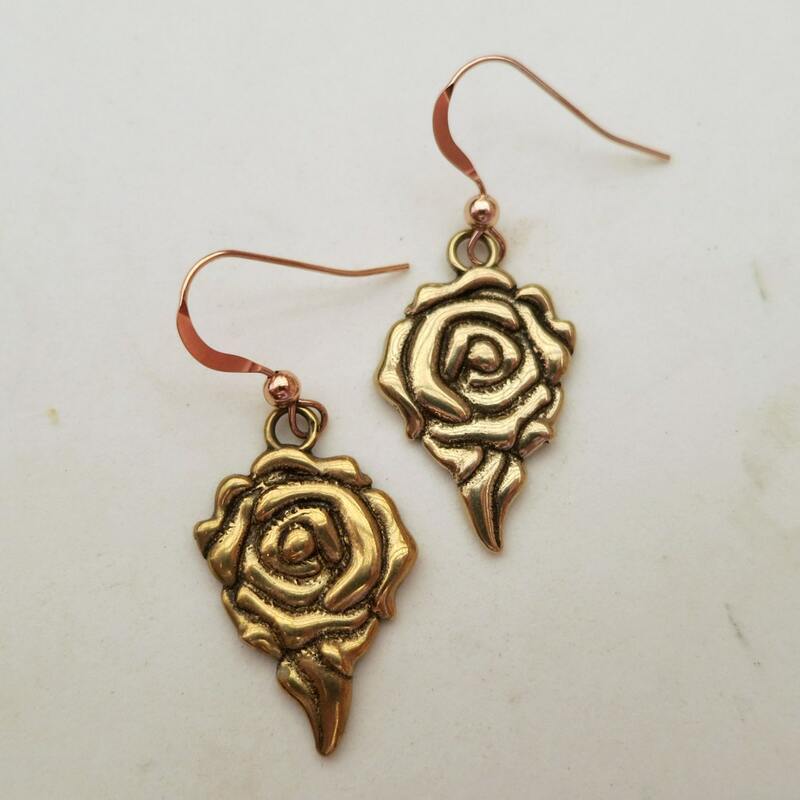 The Rose earring are of medium size - about an inch and are available in sterling silver and golden bronze. 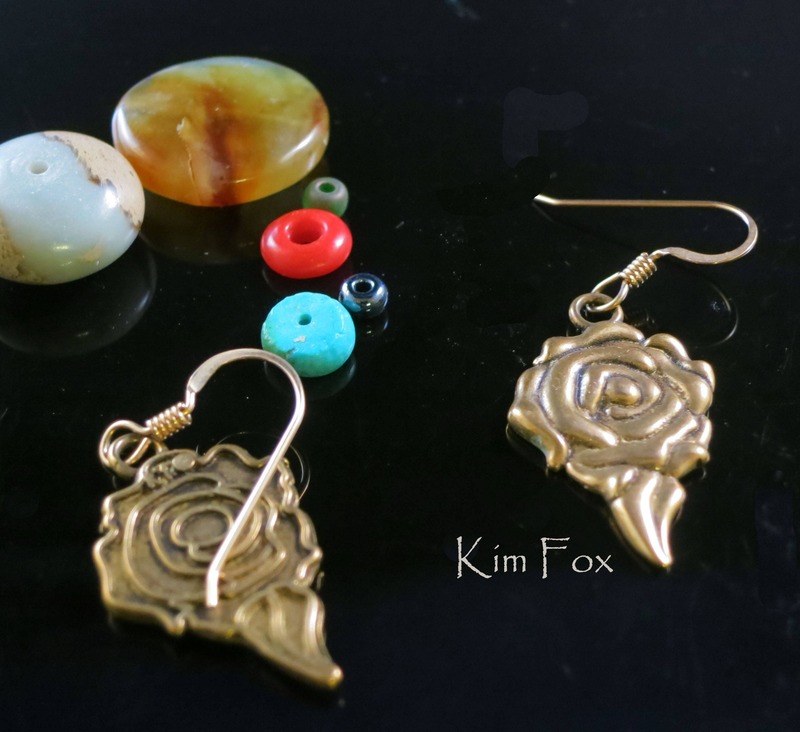 The ear wires in the silver are stainless steel and the ear wires in bronze are gold filled. 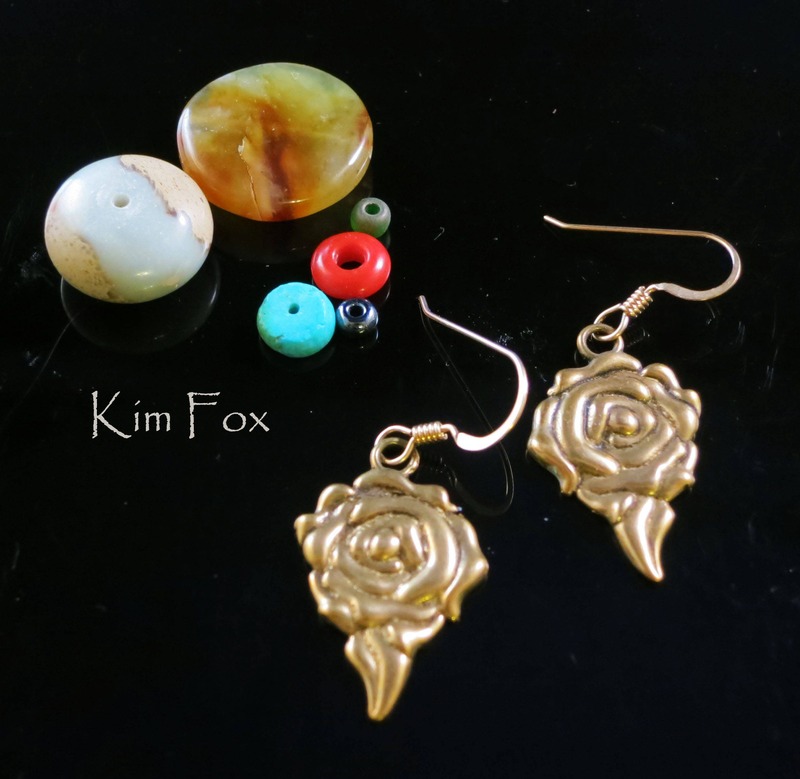 The whole earring with wire is 1.5 inches by .5 inches. 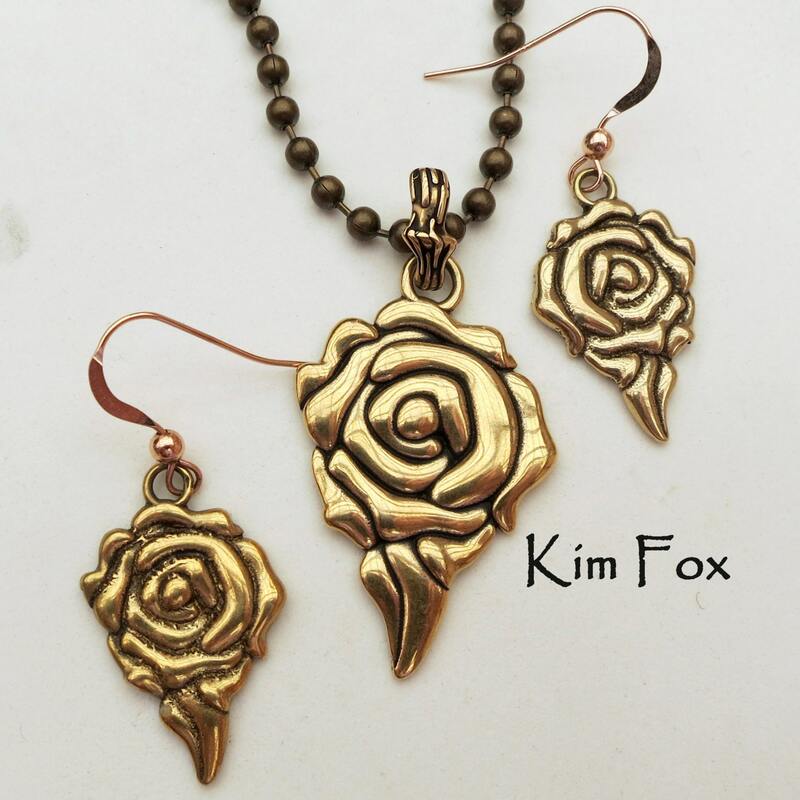 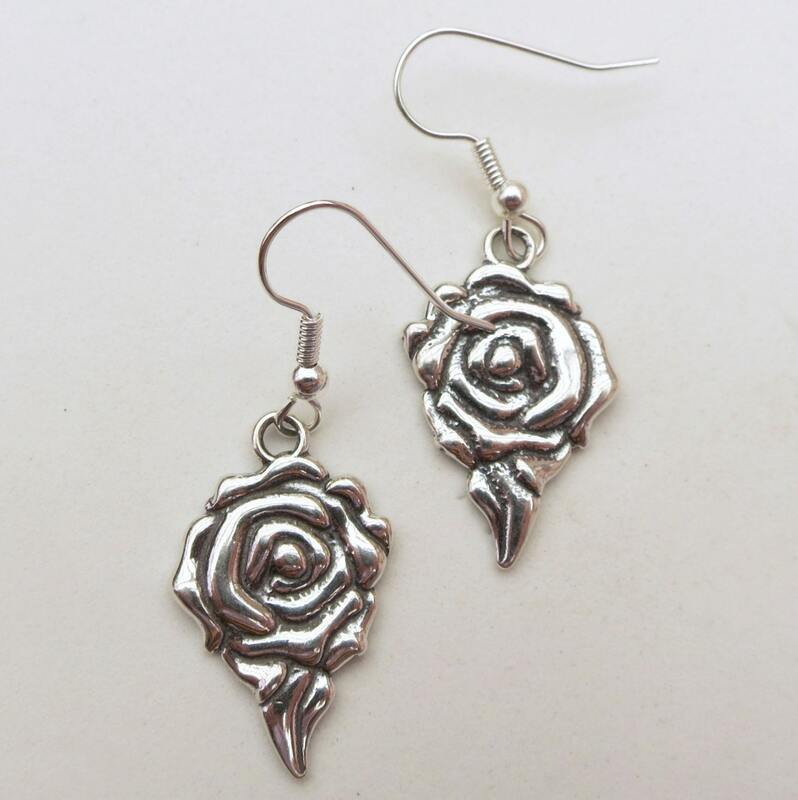 The earrings match to the Rose Pendants and can be worn as a set or alone.